On the left hand side, towards the bottom, click "Add Account"
Select IMAP if you want to keep your email on the server (I would recommend this since everyone has 1 GB of storage now), POP can be used if you would like Thunderbird to download your email and store it on your PC. Use whatever you would like in the Account Name field. 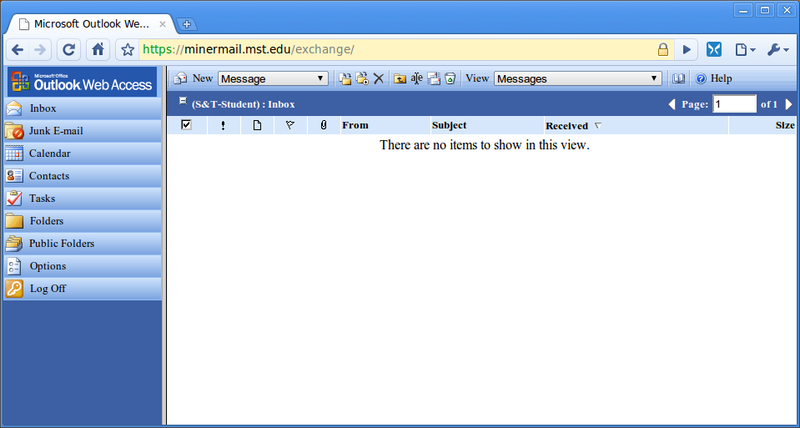 This will be what represents your MST email account on the left hand navigation. 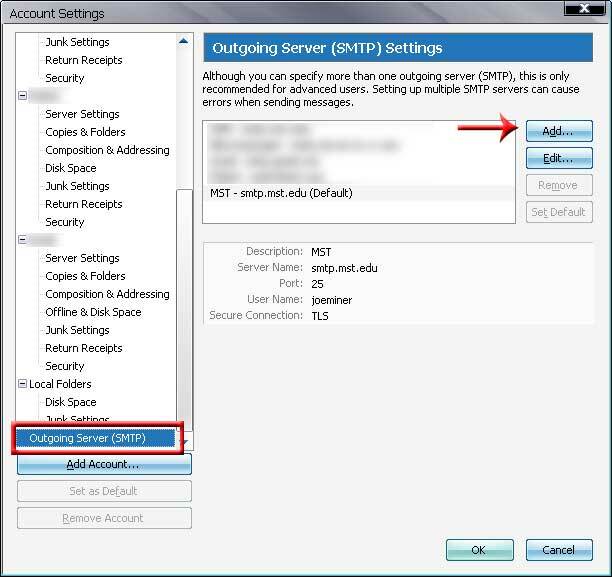 under the Account you just created go to the "Server Settings"
Ensure that under Security Settings, SSL is selected. On the left hand side, scroll to the bottom and select "Outgoing Server (SMTP)"
On the Advanced tab, I suggest 50 results max at a time, and to click "Subtree" LDAP still causes thunderbird security warnings, so watch out for it. Failure to include a proper Base DN will result in a surprising lack of results. This will only give UMR/S&T addresses, not other UM system schools addresses. 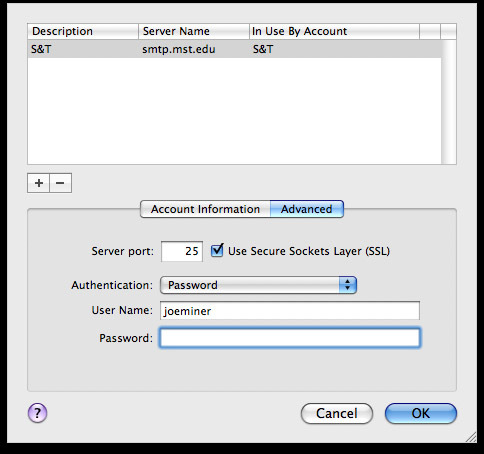 Fill in your Full Name, Email Address, and Password associated with your S&T account. Click Continue. Select "Exchange" from the drop down box. In the Description field, you can name it whatever you please, but I would suggest S&T. 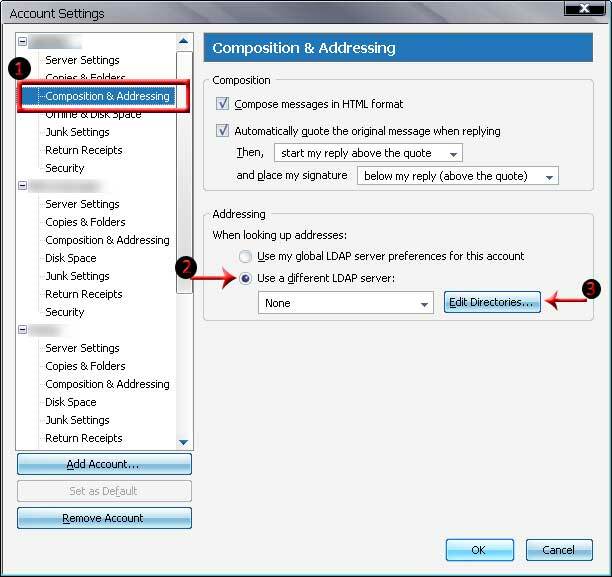 This will setup the outgoing portion of your e-mail account. Description: You can use whatever you want. Ensure the "Use Authentication" box is checked. Use the same User Name/Password combination as you did in the previous screen. When you click continue you will have to verify the certificate. Click Show Certificate, then click Always trust and finally click connect. Ensure that the Account Description and Full Name are the whatever you decided and all the other information lines up with what you have entered. SSL should be on for both Incoming/Outgoing Mail Servers. Make sure the "Take Account Online" box is checked and click Create. Your email should show up soon in your mail box. Click Mail > Preferences > Accounts. 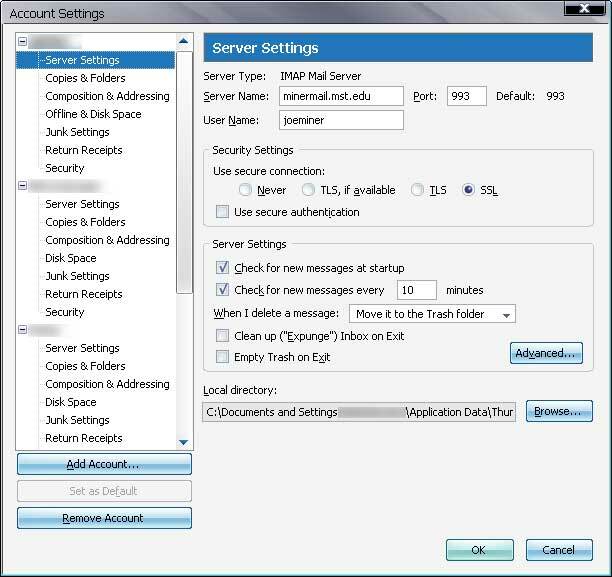 Then under SMTP choose Edit Server List. 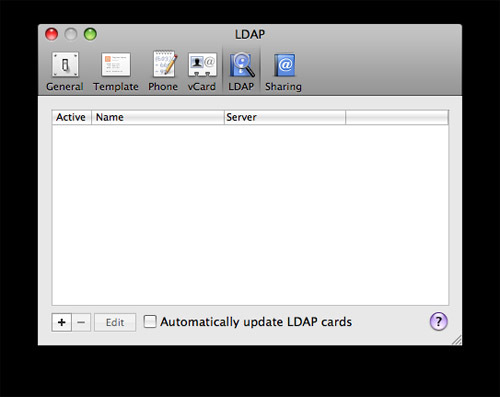 Open Address Book, click Address Book -> Preferences, and then click on LDAP. This will only give UMR/S&T addresses, not other UM system schools addresses. 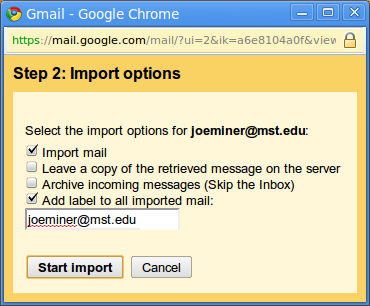 Transferring your University email to Gmail! 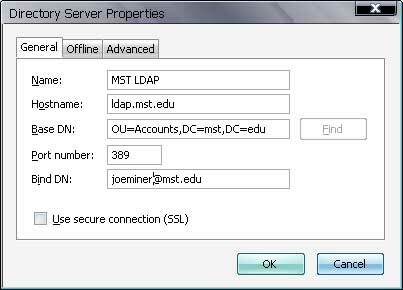 So you have this crummy Microsoft Outlook Web Access to interface with your Missouri S&T email. No searching capabilities, limited automated organization, 1 GB of storage, and... well, it's Microsoft! Gross! Now, you can import all of your Outlook mail into Gmail using the Gmail Mail Fetcher! 1. From your Gmail Web Interface, select Settings from the top-right corner. 2. On the Settings page, move to Accounts and Imports. 3. On the Import mail and contacts: row, select Import mail and contact. 4. Step 1: Sign into your other email account. 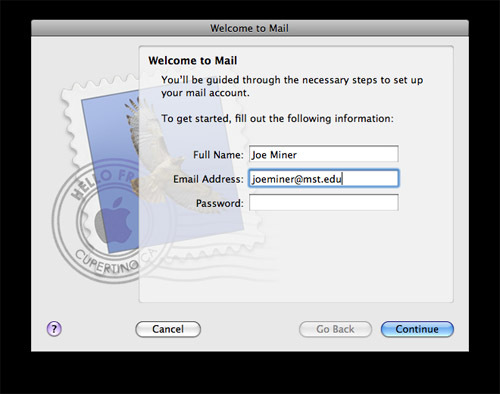 Put your SSO username, like joeminer@mst.edu. Press Continue. 5. Put in your SSO password. Press Continue. 6. Gmail assumes your service is POP3. 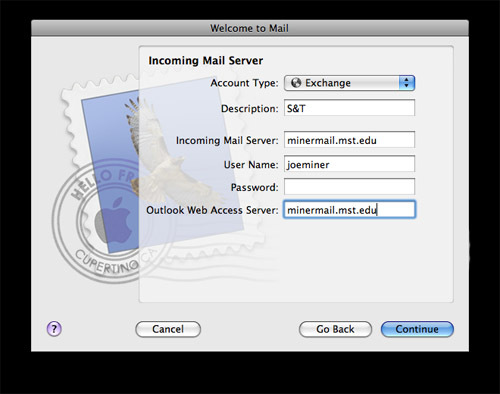 You need to supply it your SSO username (no domain; just joeminer) and the Server address (minermail.mst.edu). This will all be done over port 995, using SSL encryption for security reasons. 7. Step 2: Import options. It is your choice what you choose here. I like to Import mail and Add labels to all imported mail for organizational reasons. I also want the copy on the Missouri S&T servers to be deleted so I don't fill up my S&T mailbox with abandoned messages that were downloaded to my Gmail ages ago. This is Google Mail here. You have 7 gigars to fill up. You'll be trying to fill that up for a good chunk of time. 8. Step 3: Finish. You're pretty much done. Migration should occur rather fast (within seconds). 9. 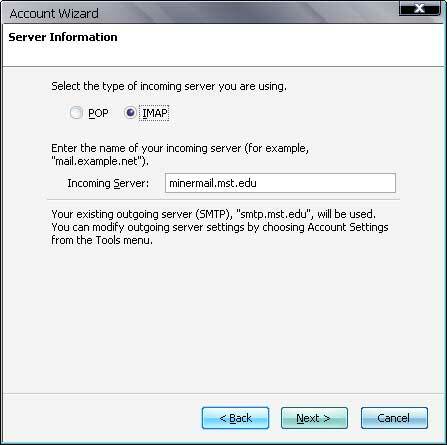 When all is done, you should have your S&T Email account listed under Check mail using POP3:. Working on it. 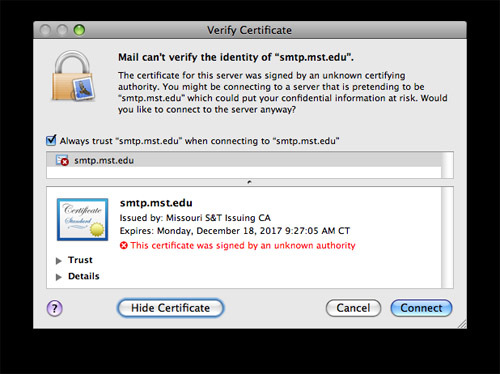 Missouri S&T Antivirus email software flips a few shits when it receives SMTP Confirmation emails from Google. I've filed a ticket. 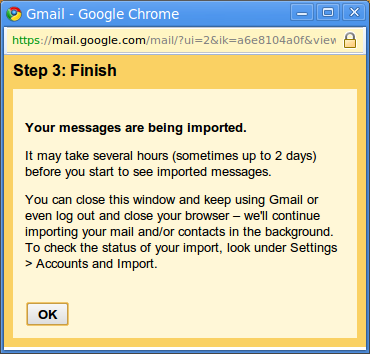 Gmail→Settings→Accounts and Import→Import mail and contacts. Account to import: Your SSO username, including @mst.edu (joeminer@mst.edu). 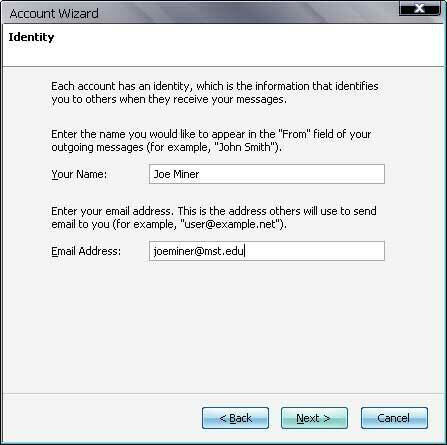 POP username: SSO username, no domain (joeminer). 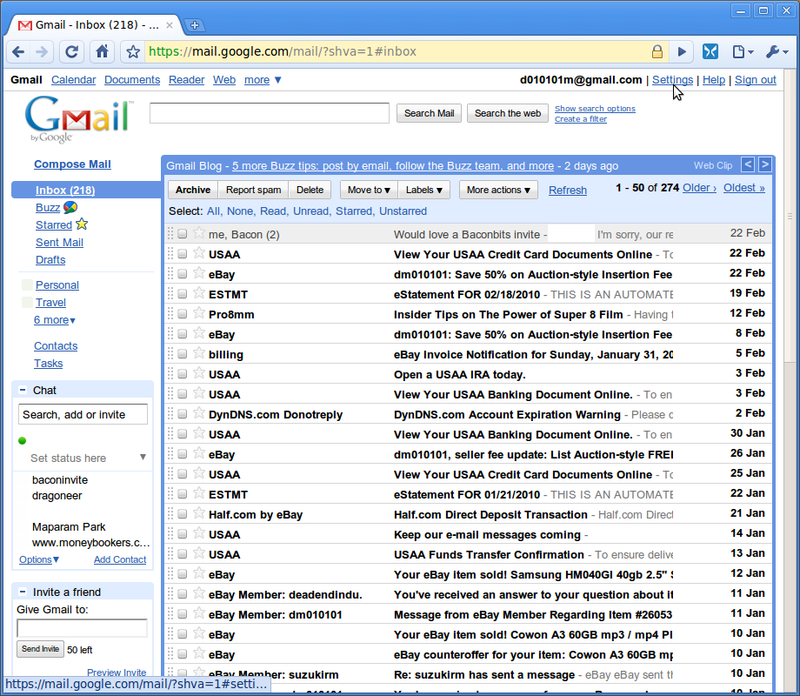 Thanks to koulevprime for the Gmail walk-through. Last edited by blitzvergnugen on Sat 08-23-2008 9:41PM, edited 4 times in total. 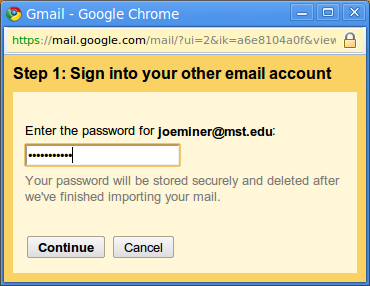 Gmail will do all of this minus the LDAP with a couple of clicks. And shepherds we shall be, for Thee, my Lord, for Thee. Power hath descended forth from Thy hand that our feet may swiftly carry out Thy command. So we shall flow a river forth unto Thee, and teeming with souls shall it ever be. true, i may work on the gmail tutorial. But gmail wont work with some intertubes. Apparently google has yet to find a way to give me the internet when i dont have it. Give those a try and see what happens. I think you might be able to mess with it some more now - I have a feeling if you change scope to subtree and got the base DN above students you might be able to get teachers and students. Right now, you only get MST students. Edit: I performed the name change and it works as listed above now. 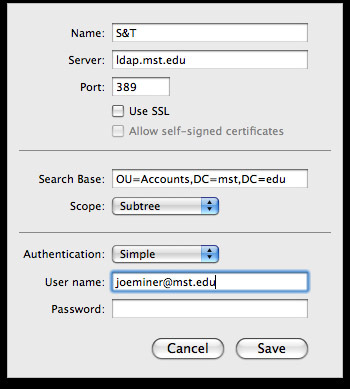 Blitz's fixed the instructions for LDAP and it includes not just students but also professors and organizations. My outgoing mail does not work with the settings you have provided. 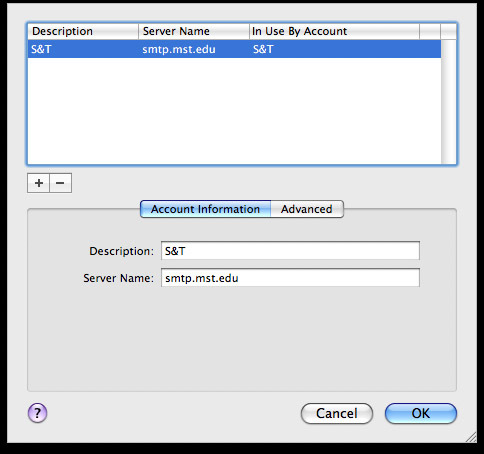 I get an error saying unable to connect to smtp.mst.edu via STARTTLS because it doesn't offer STARTTLS in EHLO response. Any ideas? My mac is setup to go with SSL and works if I click OK on a warning...thunderbird just thinks awhile and then tells me SSL doesn't work either. Has this been working before? They may just be moving your mailbox..
Nope hasn't worked since the day you posted this thread. SBC Yahoo in St. Louis blocks port 25 for SMTP outbound mail. 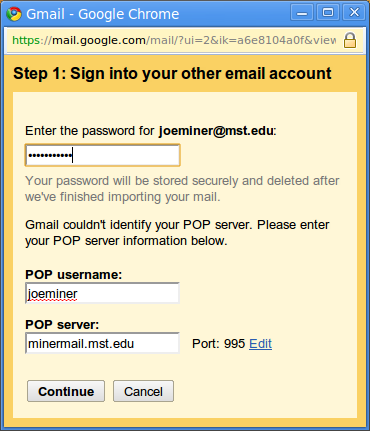 I can use port 26 instead of 25 on my personal email accounts, but it looks like minermail doesn't support port 26. Does anyone else have the same problem as me? 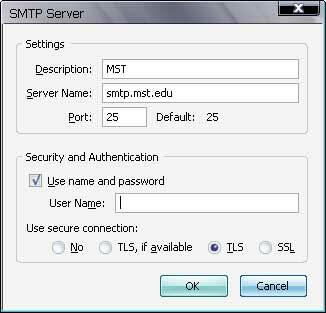 smtp.mst.edu requires secure connections IIRC, do you have TLS enabled? Usually ISP's block port 25 inbound to keep you from running servers, it'd be really odd to see port 25 blocked outbound. Yep, port 25 is blocked for outbound mail. They've been doing that for years, so I have to run my personal email smtp accounts on port 26. I have TLS enabled, and I am using Thunderbird. Currently, I'm routing all my outbound MST mail through smtp at gmail. Is that okay to do? It works, but it just doesn't seem right. OS X Mail is finally fully updated. What are the email settings if I'm trying to setup Minermail with my phone? Is the server IMAP or POP? Also, what are the port numbers, incoming and outgoing mail server names? I have clicked SSL and SMTP. Thanks for the help!